A content management system or CMS is a software that facilitates creating, editing, organizing, and publishing content. A CMS allow you to create and publish your content on the web. Although it is mostly used for web publishing, it can be used to manage content on an intranet, or in a single computer. A CMS allows users to have full control over the files, documents, as well as the design and display of the content. 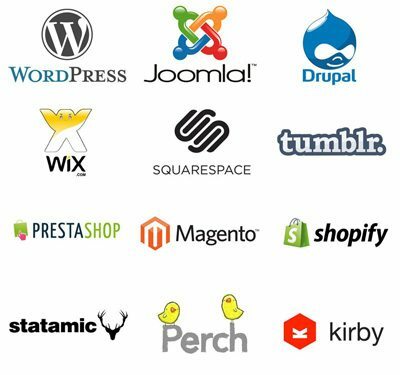 You don’t have to know a single line of code to publish content using most CMS software. The beauty of a good content management system is to allow any user to create and manage their content without any technical know-how. In the earlier days, an average user or a small company had to rely on static HTML sites because they could not afford a content management system which would cost hundreds of thousands of dollars. That problem is now solved with hundreds of open source and fee-based CMS software on the market. A CMS can be used in all sort of creative ways. We have seen them being used to power small business websites, blogs, large university websites, portfolios, real estate property listing site, internal communication system for companies, web directories, movie databases, application infrastructure base, arcade sites, and basically anything else you can think of.